Marine Clean - 3,78 ltr. Marine Clean is een krachtige reiniger voor het afbreken van vuil. gum en vernis. Is niet giftig. is waterafbreekbaar en niet lichtontvlambaar. POR-15 Marine Clean has been renamed to POR-15 Cleaner Degreaser. It cleans and degreases in one application without leaving residues, noxious fumes or flammable solvents. 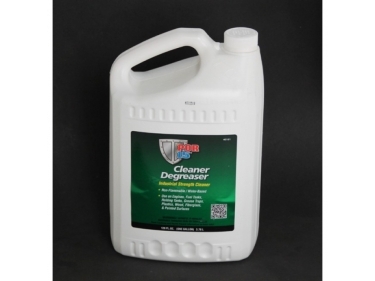 Clean up fast with this highly concentrated, industrial strength water based alkaline cleaner and degreaser. POR 15 Cleaner & Degreaser removes grease, oil, mildew, algae, musty odors, soap films and wax. You can also use it to clean canvas, vinyl, nylon, holding tanks, grease taps, auto parts and more. Marine Clean also removes rust stains from porcelain sinks, toilets and tubs. Dilute with hot water to remove oil, petrol deposits in old tanks and grease deposits. Great for cleaning the engine, removes mildew and staining from all surfaces.